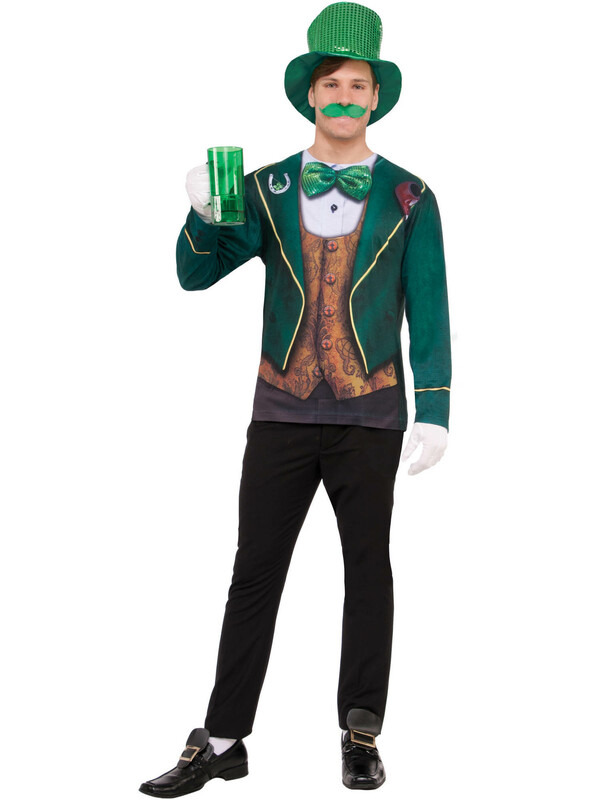 Celebrate St. Patrick's Day with a simple outfit! Get the Adult Instantly Irish T-Shirt! The printed design features a green vest over a white shirt and fancy vest. The green bow and lucky horse shoe on the collar make the perfect touches. Get it online with fast shipping!